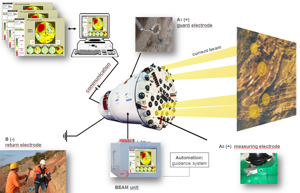 The Bore-Tunnelling Electrical Ahead Monitoring - BEAM® -, developed and patented by Kaus et. al., managing director of GET, is a geophysical ground prediction technique especially designed for the underground construction industry. Beside the standard TBM operations, special applications has been performed for drill & blast drives and also perimeter investigations for cavity detection in karst formation around existing tunnels. 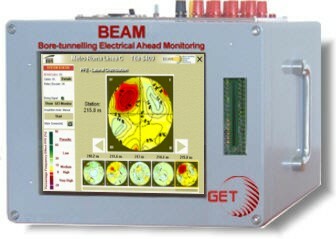 BEAM is a non-intrusive focused-electrical induced polarisation ground prediction technique, permanently operating while TBM tunneling. 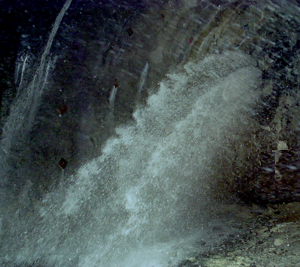 It is a robust and reliable long-term operating geophysical probing technique fulfilling the practical demands under the rough conditions of tunnelling work in hard rock as well as in soft ground. Main components of the survey system are the measuring instrument placed in the TBM operator cabin and special adapted excavation tools which are used as electrodes. The unit is connected to the guidance system and receives the boring signal which allows fully automatic data acquisition and visualisation in real-time on an integrated monitor. Communication facilities transfer the forecast results to every accredited computer world wide simultaneously. Based on the measuring data the percentage frequency effect PFE and the resistivity R, an advanced evaluation software is established for geoelectrical-geological/ hydrogeological classification and interpretation. Early warning information of significant ground changes while tunnelling is advantageous to reduce hazardous risks, in particular during excavation with tunnel boring machines. Accidents or complications and hence expensive standstills can be prevented by planning precautionary and logistical measures. On the condition that TBM operations and lining works should not be obstructed by data acquisition, a probing and documentation without predrillings is one major demand. On the other hand knowledge of non-critical ground conditions ahead of the face allows rapid excavation resulting in high production rates and contributes to shield staff and equipment. 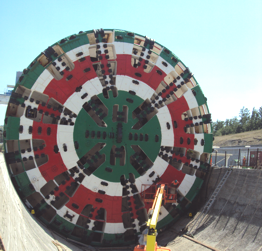 The TBM based BEAM system allows a fully automatically and permanent driving accompanying exploration of ground conditions about 3 times the tunnel diameter. BEAM combines the well established principles of focusing-electrode logging and frequency-domain induced polarisation (IP) measurements. e.g lateral distribution view of PFE values: Indication of a cavity zone (red anomaly) within pyroclastics on the left top side ahead of the TBM. Oman - HSC, OSC, EPM - Sea Fox Int. UAE - HSC, OSC, EPM - Sea Fox Int. 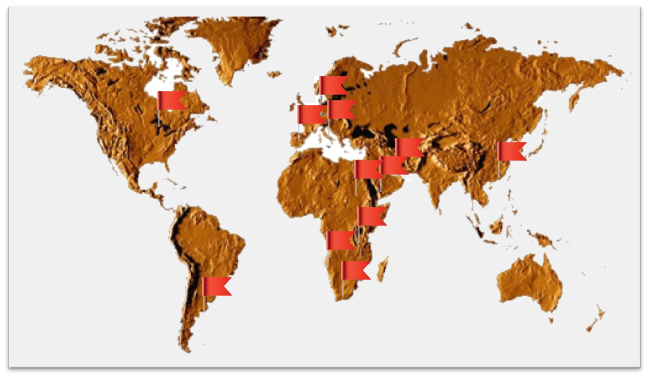 GEO EXPLORATION TECHNOLOGIES - GET - is a German geophysical service company experienced in exploration of subsurface ressources, structures and properties serving numerous national and international projects since 1986. BEAM - Highlight in 2015-2016In total 18 BEAM units for live monitoring during TBM driving are successfully installed at METRO DOHA Projects in Qatar. 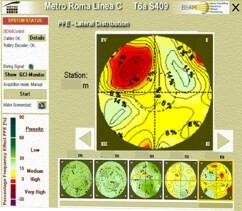 12 EPBM from Herrenknecht were equipped with SCAN system at the GOLD LINE and GREEN LINE. Also 4 INTEGRAL drives at RED LINE NORTH as well as 2 boring machines of ABU HAMOUR SEWER TUNNEL projects are using BEAM ground prediction system as de-risking tool.